VANCOUVER -- Charges have been laid against an American man who caused a United Airlines flight to be diverted to Vancouver over the weekend. Fifty-four-year-old Nicholas Aliksyuk of Duluth, Minn., faces one count of threatening to cause death or bodily harm and another of mischief. RCMP haven't released details connected to the allegations, but will say Aliksyuk remains in Canadian custody. Mounties in Richmond, B.C., responded to Vancouver International Airport around 4 a.m. on Saturday after reports that a crew had diverted a plane over security concerns on a flight from Alaska to Colorado. 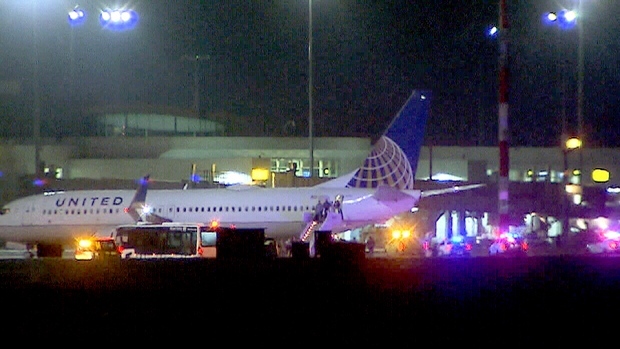 Officers took a man into custody on the tarmac, and no injuries were reported. United Airlines spokesman Charles Hobart said there were 131 passengers on board at the time, along with six crew members.